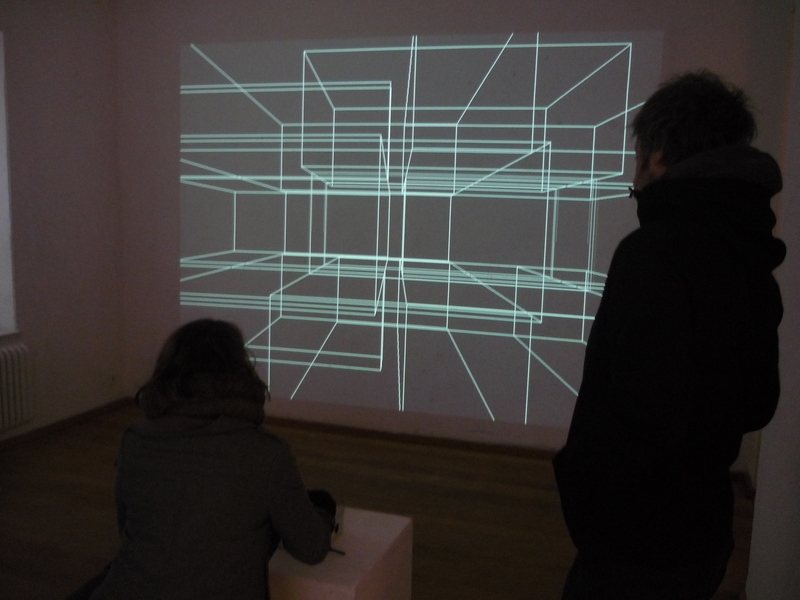 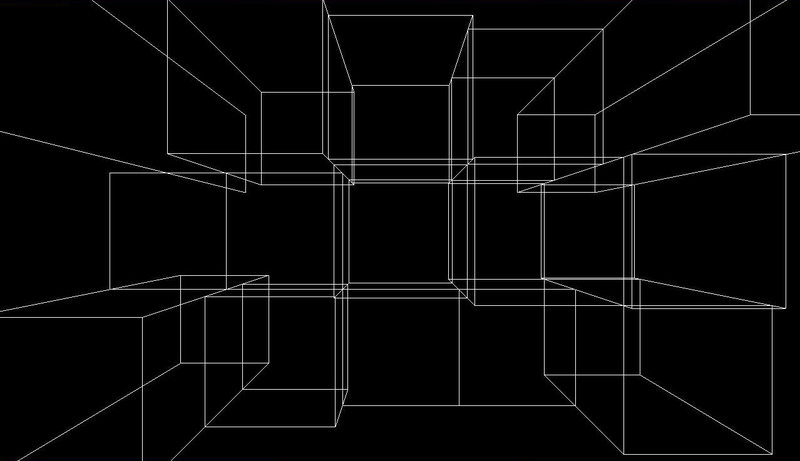 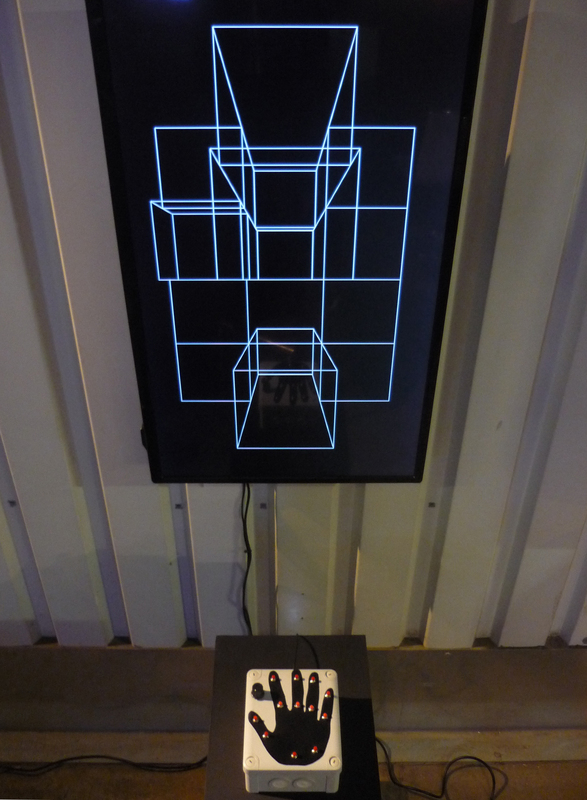 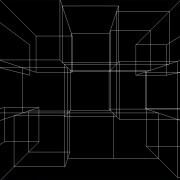 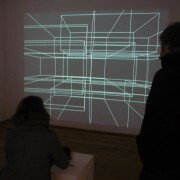 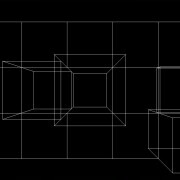 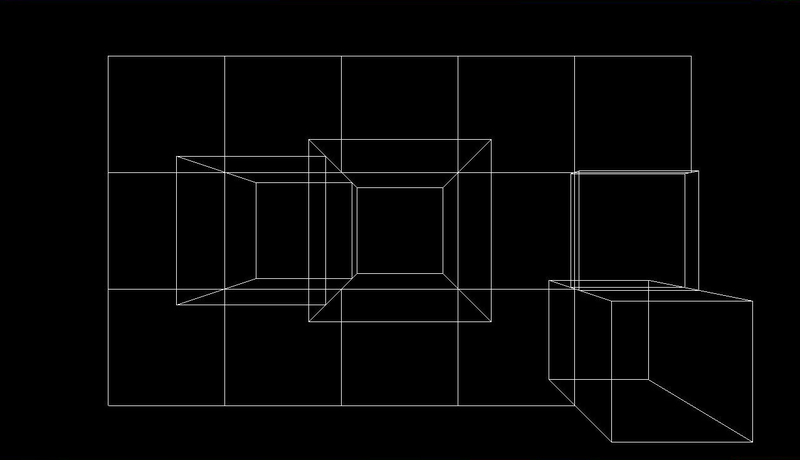 Interactive cubistic video projection. 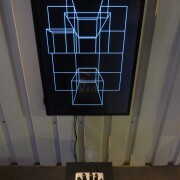 Every button on the controller handels the movement of one of the twelve cubes. 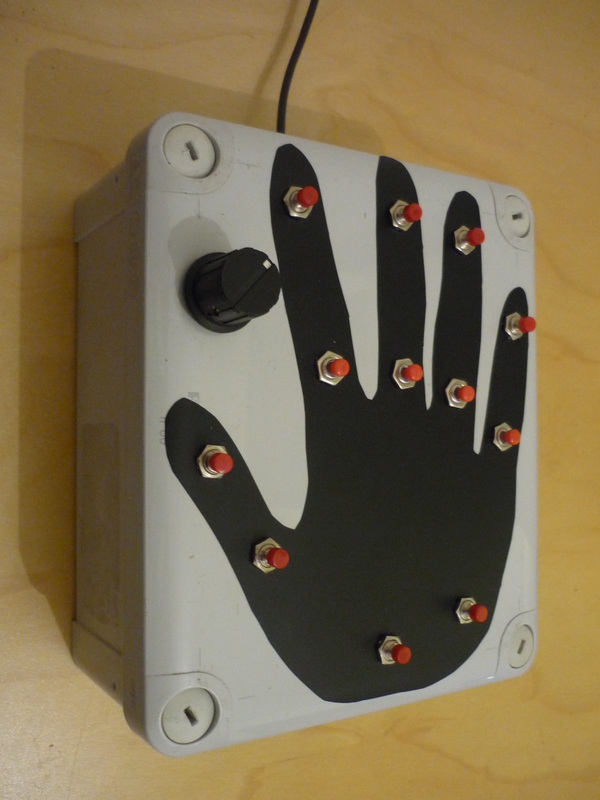 the rotary knobs are for controling the rotation or stretching the raster.